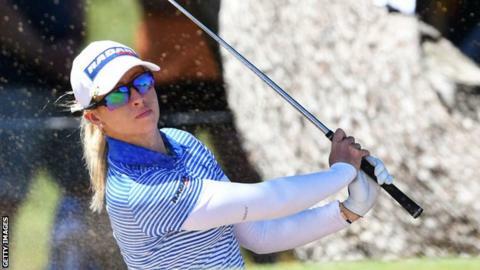 England's Jodi Ewart Shadoff is four shots off the lead after the third round of the Women's Australian Open in Adelaide. America's Nelly Korda leads on 12 under par while Ewart Shadoff is in contention after a round of 70. The 31-year-old, who had shared the lead in the first round, is level with Lee Jeong-eun of South Korea and Taiwanese Hsu Wei-ling at eight under. England's Bronte Law is in a group at seven under after also shooting 70.